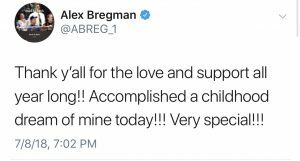 Alex Bregman’s dream was to play Major League Baseball and win a World Series Championship. Mission accomplished. His childhood dream keeps getting better. The former Albuquerque Academy standout was the number 2 overall selection in the 2015 MLB Draft. 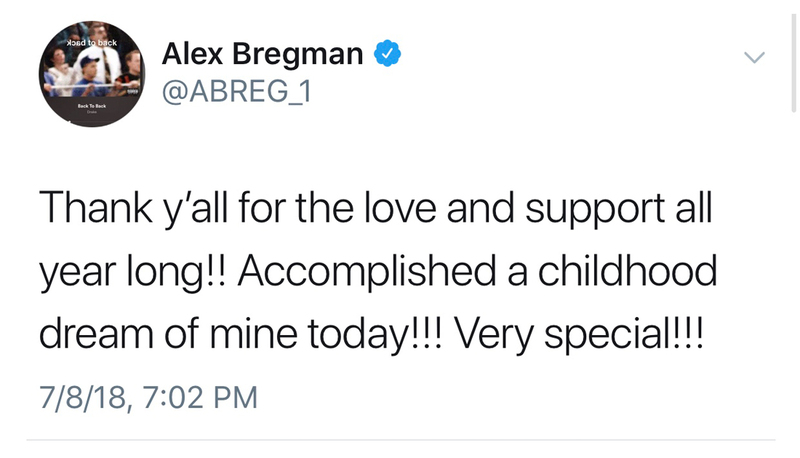 Bregman made his major league debut in July of 2016. He was named the American League Player of the Month in June. He hit 11 home runs and 30 RBIs in the month to earn his spot as a reserve on the All-Star roster. The third baseman has 17 home runs on the season with 57 RBIs and 29 doubles. The MLB All-Star game will be played on July 17 at Nationals Park in Washington, D.C.